Last week, I brought up the potential damage control the Cleveland Indians may have to run after spending the past three months actively shopping ace Corey Kluber. Yesterday, we found out Kluber isn’t the only player the Indians may need to smooth things over with. Speaking with Paul Hoynes of Cleveland.com, team president Chris Antonetti was asked if this winter’s cost-cutting had anything to do with freeing up money for a contract extension with All-Star shortstop Francisco Lindor. Seen as one of the game’s rising stars and also entering the first of three remaining years of team control, Lindor is clearly someone Cleveland should be looking to retain. This context only makes Antonetti’s answer to the question more confusing. After claiming the Indians’ winter of salary shedding has nothing to do with a contract extension for Lindor, Antonetti appeared to imply the team still needs to determine if he’s even a player worth investing in. “There are a variety of factors that go into those types of decisions (to offer a player an extension),” Antonetti said. To me, there are two key takeaways from these comments. First, it sounds like Cleveland’s front office is a bit frustrated by its inability to lock up one of its best players. Secondly, the team is taking an extremely questionable route in making said frustration known. I certainly understand why the Indians may feel a bit exasperated when it comes to locking Lindor up long-term. They offered him a $100 million extension in 2017, which was turned down. The decision certainly seems wise now, as Lindor’s price tag is only going up. Naturally, this just increases the pressure the front office feels when it comes to retaining one of, if not the best player on the roster. That said, attempting to make progress by noting the team needs to ensure he’s worth betting on is problematic at best. Still, when talking about a player of Lindor’s caliber, was this type of language even necessary? For all intents and purposes, Lindor is exactly who you want in your clubhouse. He’s exactly the kind of guy you bet on to contribute on the field. He’s a three-time All-Star who’s seen year-over-year increases in RBIs and home runs since his rookie season. He wrapped up the 2018 campaign with a WAR of 7.9, and provided literally the only consistent offense during Cleveland’s ALDS series sweep at the hands of the Houston Astros. He’s recognized nationally as one of the best shortstops in the league. Bottom line, if there’s anyone on the Indians’ roster who doesn’t need to convince the front office he’s worth the investment, it’s Lindor. Which makes Antonetti’s comments all the more puzzling. There’s little to be accomplished in throwing out caveats such as these, as it’s tough to believe any Tribe fans would honestly question the idea of extending Lindor’s contract. 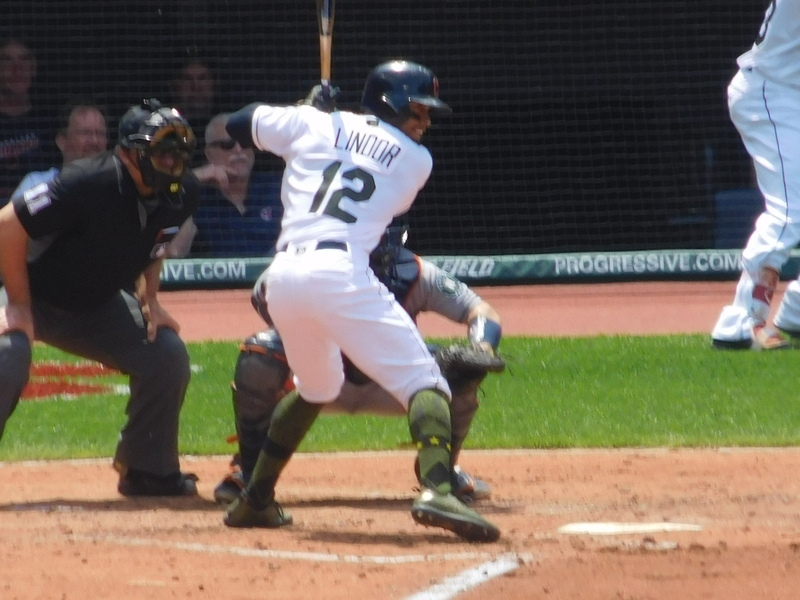 There’s also little doubt regarding what Lindor can contribute on the field and off. Knowing this, there’s little else to take away from these comments beyond the fact Cleveland is getting a little too frustrated about what appears to be a contract stalemate, along with the consequences which may come with not being able to get a deal done. Again, this is understandable, as Lindor is a player no team would want to lose. With that said, there are better routes to take in trying to help your cause than implying the team still needs to determine if he’s someone to invest in. All this is doing is casting doubt on the front office’s ability to realize what it has in Lindor. Apparently, Lindor has implied that he would be more likely to sign a long-term deal if Alomar was the manager. If so, that alone would be a near deal-breaker for Antonetti.